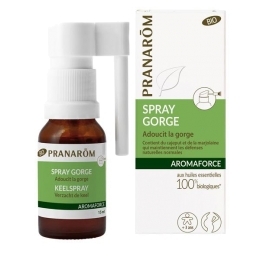 Aromaforce nose spray is a hypertonic solution made of organic essential oils of mandravasarotra, eucalyptus radiata and geranium that are renowned for their purifying, refreshing and soothing properties. 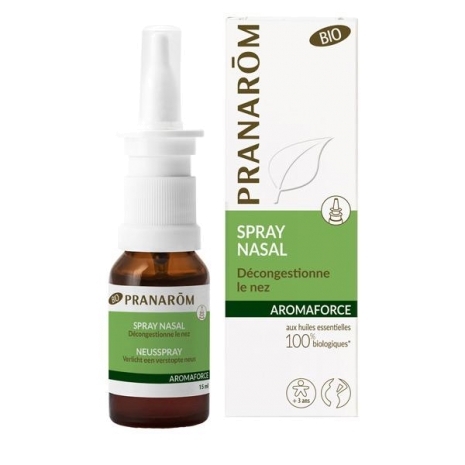 This product is used for the symptomatic treatment of nasal congestion, including colds and pharyngitis. The decongestant spray eliminates mucus, a source of bacterial contamination, while preventing the dryness of the mucosal lining. It gives a sensation of freshness thanks to the essential oil it contains.